Baseball is enjoying a growing popularity in Australia that’s somewhat comparable to the popularity of rugby in the U.S. 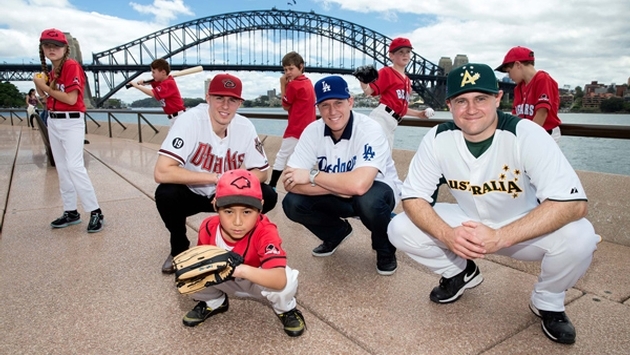 When the Arizona Diamondbacks and the Los Angeles Dodgers kick off the 2014 Major League Baseball season in Sydney this year on March 22 and 23 they won’t be playing before a city completely new to the sport. New South Wales has 176 baseball clubs and numerous baseball diamonds. It will be the sixth time that Major League Baseball held its opening day overseas. Japan has hosted it four times. Though the teams have been working out for almost a month, the regular season games will be in Sydney for six days, including the two games at the Sydney Cricket Ground and preseason training sessions. Two additional games on March 20 and 21 will pit Team Australia against both the Diamondbacks and Dodgers. To host the first games ever played in Australia, the Sydney Cricket Ground will be transformed into a Major Baseball League field. This will include the construction of an infield clay area, pitcher’s mound, dugouts and additional grandstand. The QT Sydney's spaQ Barber Shop has gotten into the spirit by offering custom-created 'Chin Music Shave' for sluggers and guests on game day and throughout the month of March. The treatment — which guests enjoy while sitting in vintage Koken American barber shop chairs — incorporates the Barber Shop's straight-edged blade shave, followed by a steam room experience and a traditional baseball game-day meal, a hot dog and beer, at Parlour Lane Roasters. The new 'Chin Music Shave' at the spaQ's Barber Shop will cost AUD$60 ($54). The action will be broadcast in bars and pubs throughout Sydney with hot dogs, sliders and all things American being served. Sydney has many restaurants serving American cuisine including the Soda Factory in Sydney’s Surry Hills; Marly Kitchen at Newtown’s Marlborough Hotel; nearby Hartsyard replicates an American diner Down South; the Jazz City Milk Bar in Darlinghurst; and also in Darlinghurst is Hinky Dinks.